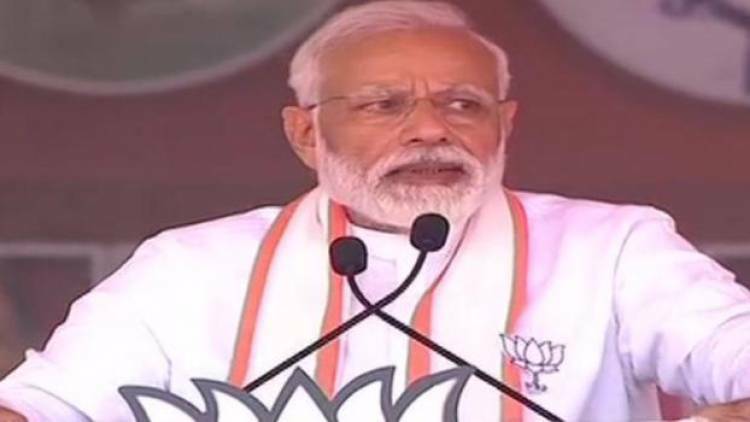 THENI (TAMIL NADU): Prime Minister Narendra Modi on Saturday mocked the Congress's proposed NYAY scheme which translates to "justice" in Hindi literally and claimed that the grand old party has finally agreed that injustice was done by them over the past 60 years. "Congress and dishonesty are best friends. But sometimes by mistake they end up speaking the truth. Now they are saying Nyay will happen. Even if they did not intend to, they have admitted that they had done injustice for the 60 years," Modi said at a massive rally here. Modi also asked who will render Nyay/justice:- to the victims of 1984 anti-Sikh riots; to all the victims of anti-Dalit riots; to the government of AIADMK Founder M.G.Ramachandran (MGR) dismissed by Congress because one family didn't like him; to the victims of Bhopal gas tragedy -- one of worst environment tragedy in modern India -- all of which happened under the Congress rule. Stating that the Congress, DMK and their other corrupt friends can never work for India's development, Modi asked the people present at the rally to decide the fate of those who questioned the surgical strike by the Indian Army.